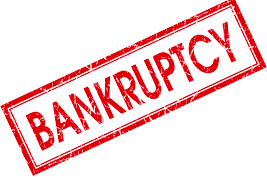 With increasing inflation and constantly rising market prices many businesses and individuals may find themselves in a dire predicament, sooner or later they would have to declare themselves bankrupt and file for bankruptcy. What is bankruptcy and how can you legally follow specific procedures to file for it? Read on as we provide a few helpful suggestions that you might find useful. Bankruptcy is a legal declaration that one is unable to pay their debts and thus needs to have debts pardoned or reorganized. Bankruptcy usually affects businesses; nevertheless individuals can also declare themselves bankrupt if they cannot pay their debts. You can file for bankruptcy in court or in certain instances creditors can do so themselves. For bankruptcy proceeding to take place a person’s assets are evaluated and debts are repaid according to the debtors ability to pay. In Switzerland you can file for bankruptcy only if you declare yourself insolvent meaning that you have no funds pay to pay your debts. The second condition is when there is solid evidence that the debtor, i.e. the one owning money to another person has been unable to reach an agreement with the creditor, i.e. the person or institution to whom money is owed. The goal of a bankruptcy procedure is to gather a list of all creditors and then schedule a claim to repay them. It is vital that the debts owed to each individual appear on this list, the money raised from seized assets will then be used to repay the debt. During the bankruptcy proceedings all open payments against the debtor are frozen. There are specific conditions that must be met prior to relegating the proceedings to a court. If a company, or a legal entity faces debt enforcement proceedings and fails to pay the amount required, the creditors can go to court 20 days after the summons for the payment is issued. Once the case is taken to the court the creditors will be called upon to file their claim. If the debtor cannot prove that he paid his debts the court will then declare him/her bankrupt. The Swiss Commercial Register is immediately notified. The bankruptcy notice is also then published in the official canton paper and the Swiss Journal of Commerce. From here on the bankruptcy office will gather a list of assets that will be seized, which will then be sold and the proceeds will be used to pay back the creditors. If an individual does not have any assets that can be sold, the court will issue the creditors with a certificate of loss indicating the amount of money due. FERZ SA will help you file for bankruptcy procedures and gain control of your financial situation, call or email us for a consultation.